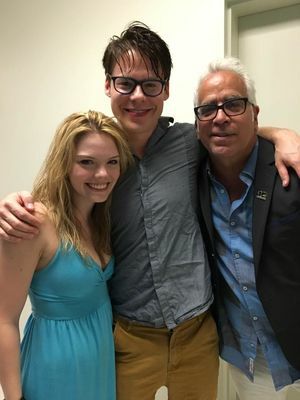 One more photo of #RandyHarrison after his performance in #CabaretTour last night, with Aisling Halpin, "Frenchie" in the show, and Richard Jay-Alexander, who shared the photo on his Facebook! Group photo for #RandyHarrison and some of the cast of #CabaretTour, taken during the press preview at the Adrienne Arsht Center for the Performing Arts and shared on the Theatre's social media. A few minutes ago #SteveRothaus posted on his Instagram a photo of #RandyHarrison with Andrea Goss, his costar in #CabaretTour. It sure looks like they're being interviewed! 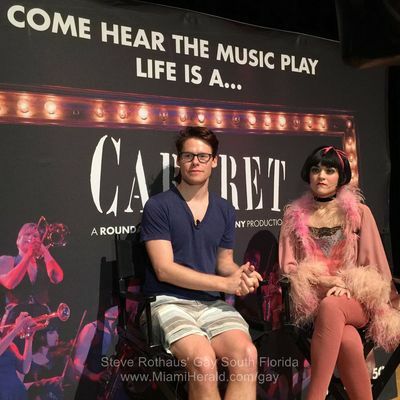 Last night #SteveRothaus, who had already interviewed #RandyHarrison for the Miami Herald ( HERE ) was at the Adrienne Arsht Center for the Performing Arts for #CabaretTour. After the performance he was backstage for a photo with Randy. 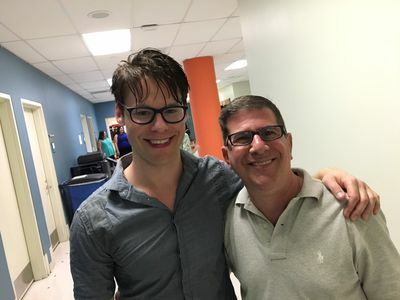 We have a first photo of #RandyHarrison in Miami, where the cast of #CabaretTour will perform at the Adrienne Arsht Center for the Performing Arts from April 12th to April 17th. 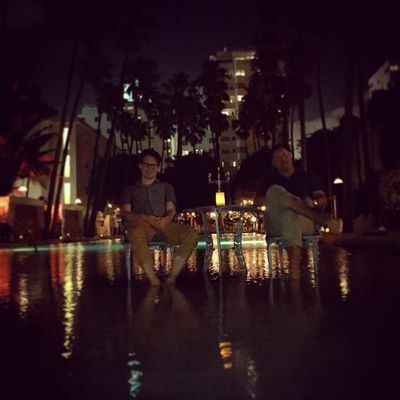 The photo was taken by John Thomas Shults at the Delano last night and shared on his Instagram. 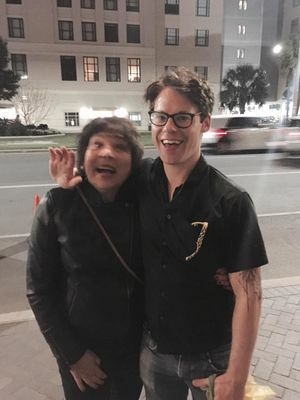 Last night #RandyHarrison and the whole cast of #CabaretTour were enjoying a night out in New Orleans, touring the French Quarter Fest. 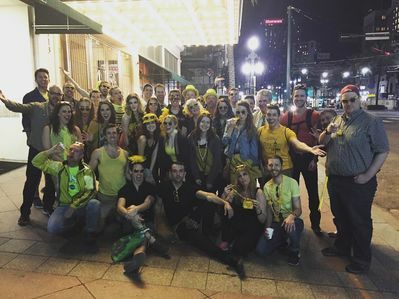 They posted a photo of the whole group on the musical's Instagram. "Cabaret: what can I say? It was stunning, overwhelming, tears and laughter. Randy Harrison's performance is a tour de force. He had a standing ovation, justly deserved. Once will never be enough so that's why I'm going again tomorrow and the next day and the next......."
We added to our gallery a new photo of #RandyHarrison from January 14th, when he attended the opening of Noises Off at the American Airlines Theatre in New York with Andrea Goss, his costar in #CabaretTour. A little reminder about the short #PhotoOpFilm with #RandyHarrison in the role of a Brooklyn based photographer: the short will be screened tonight at the Wicked Queer - Boston LGBT Film Festival in the category "Men's short: Objects of Desire", scheduled from 4,00pm to 6.00pm. Click on the banner below for more info. 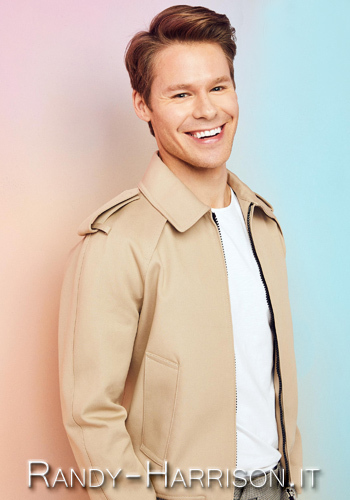 There's also an interview of #RandyHarrison talking to Steve Rothaus about his career, both in Television and in Theatre, and his role in Cabaret. Click on the photo to read it. Thanks to Ifigenia for the heads up!